The Sundowns pair of Hristo Stoichkov and Katlego Mphela were awarded PSL Coach and Player of the month respectively, for the month of December. Although the action in the Absa Premiership League might be on pause, a panel of judges still met to adjudge the Player and Coach of the Month for December 2009. With one team dominating in December, there was no need for much debate. The honour for December’s outstanding player went to the star in the Sundown’s camp, Katlego Mphela, who is also the Absa Premiership’s leading goal scorer at the moment. Having scored four out of eight goals in December, Mphela has been the back bone of the Brazilians, who are currently in second position and contending for the league title. 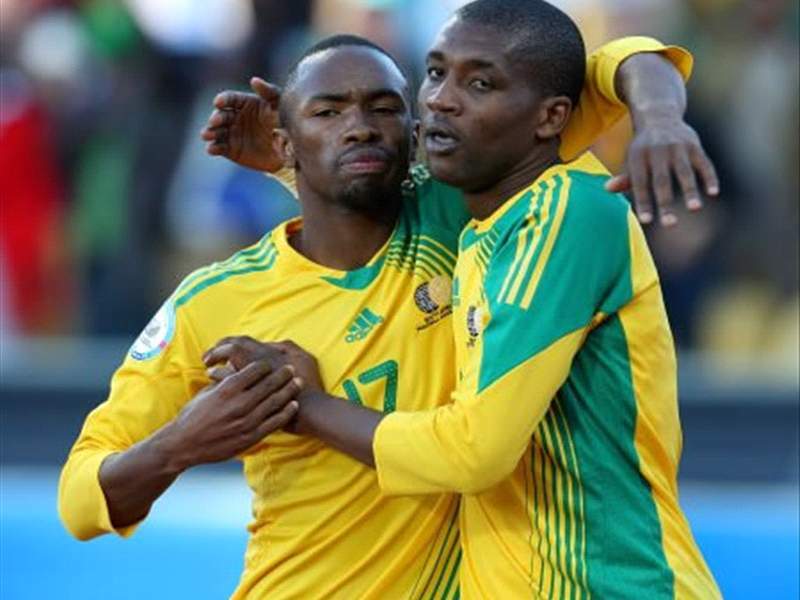 It was also noted that if Mphela is not scoring, he creates opportunities and is a team player. Mphela received a trophy and a cheque for R10,000 compliments of Absa. All five judges agreed Hristo Stoichkov from Mamelodi Sundowns should be the Absa Premiership Coach of the Month. “He’s certainly turned the Tshwane club into a force to be reckoned with,” commented one judge. "What came up a number of times in the discussions was how Stoichkov led his team to beat Kaizer Chiefs and SuperSport United in the space of three days." The judging panel gave special mention to Vladimir Vermezovic from Kaizer Chiefs; the judges felt he had a good month, with his team being top goal scorers in December with 11 goals in six games and only having lost one game.